Last week’s JAMA powerfully and beautifully expressed one consequence of current government intrusion into the doctor patient relationship. I have written about this before. Sadly, so many, including physicians, are well intentioned yet misguided or uninformed. Most of the problems with health care and health insurance in the U.S. are due to government meddling and government regulations. A complete government take over is the worst possible response. All of us deserve better. Facts on Fish Oil: what is fish oil really good for? Alternative thyroid treatments are junk and a waste of money. Alternative thyroid treatments are sold under such names as Iodine Plus 2, Thyroid Assist, Thyroid Support, Thyroid Energy and other similarly misleading names. Some medical doctors (M.D. or D.O) even promote alternative thyroid treatments. But most who say they’re doctors and tout these alternative thyroid treatments are either chiropractors (D.C.) or naturopathic doctors (N.D.). By the way, some people think that the N.D. stands for “not a doctor”. If you have hypothyroidism, that’s the medical term for an under-active thyroid, then you need thyroid hormone. For hypothyroidism you should take levothyroxine also known as L-thyroxine. Most endocrinologists recommend brand name levothyroxine. Those brands that all contain levothyroxine and tend to be the most reliable are: Levoxyl, Synthroid, and Tirosint. See my previous post if you have questions about so called natural thyroid hormones. Now how about alternative thyroid treatments? There is no doubt that alternative thyroid treatments are junk and a waste of money. What is typically found in these alternative thyroid treatments? Iodine, tyrosine, selenium and B vitamins are the key and most common ingredients in alternative thyroid treatments. Some of these supplements claim to have “Raw Thyroid” but those do not have any significant amount of thyroid hormone. Supplements that are called Raw Thyroid cannot contain any meaningful amount of thyroid hormone because of laws that do not allow it. Some supplements also throw in a host of other vitamins and minerals. And those vitamins and minerals you could get in any cheap one a day vitamin and mineral supplement. But all these alternative thyroid treatments are simply junk and a waste of money. There is no scientific evidence that giving these pills to someone who cannot make thyroid hormone can bring their thyroid levels miraculously back to normal. The most common causes of hypothyroidism in the United States are Hashimoto’s disease, radioactive iodide treatment to destroy the thyroid or surgery to remove the thyroid. The thyroid needs iodine to make thyroid hormone. See my recent post. But in the U.S., and Canada, iodide deficiency almost never is the cause hypothyroidism. 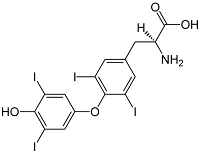 Iodide has been added to salt since the mid 1920s. Taking too much iodide can actually make it harder for your thyroid gland to work if you have hypothyroidism. Thyroid experts have known that fact for many years. Most multivitamin and mineral supplements will provide the 150 micrograms recommended dietary allowance for iodine. Getting this amount of iodide is important for all women during pregnancy. Some supplements provide the iodide as bladder wrack or kelp. Bladder wrack and kelp are types of seaweed that contain lots of iodine. But the ingredient in these alternative thyroid treatments that is really a joke is tyrosine. Sometimes tyrosine, also called l-tyrosine is sold separately as alternative thyroid treatment. 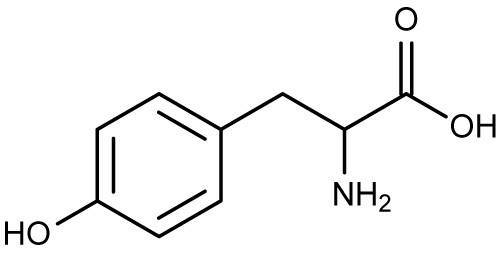 Tyrosine is an amino acid your body can make. Tyrosine is a building block of proteins and part of the thyroid hormone molecule. 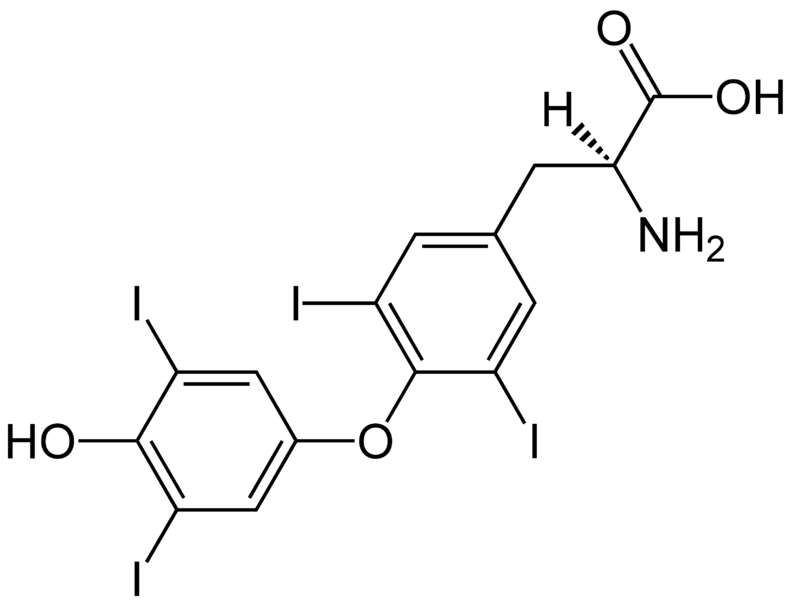 See below and see if you can find the structure of tyrosine in levothyroxine. But people do not get hypothyroidism because of a shortage of tyrosine. Giving someone tyrosine when they have Hashimoto’s disease or another cause of hypothyroidism is laughable. That’s like putting gas in your gas tank when the car has no engine! And supplemental B vitamins do not help thyroid function in those with hypothyroidism. But how about selenium? Selenium is a trace mineral in selenocysteine that is a required part of the enzyme that converts levothyroxine to triiodothyronine, T4 to T3. Well it turns out that supplemental selenium might be helpful but so far this has been shown only in a single study during pregnancy. So selenium is not recommended during pregnancy. And selenium does not seem to lower the levels of anti-thyroid antibodies found in Hashimoto’s disease. Selenium may help some patients with eye disease associated with the overactive thyroid condition called Graves’ disease. But too much selenium can cause serious problems. For those interested in reading more about selenium, a good recent review was published. So to summarize, if you have hypothyroidism, read the labels of any supplements you might be considering. It is best to simply stay on your levothyroxine and follow up closely with your doctor. Those alternative thyroid treatments are just not worth it.